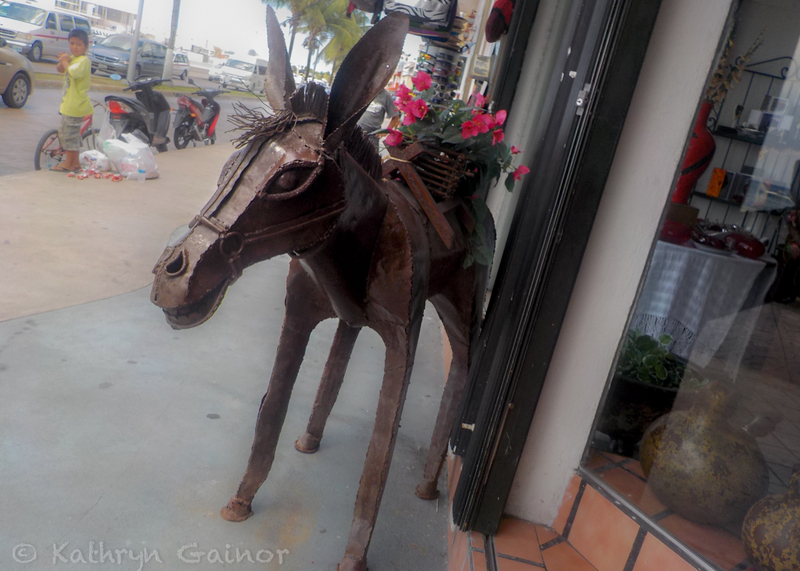 A little while ago we went to Cozumel and had a blast. We walked quite a long way to get to our ferry, but missed it by a few minutes because the closer ferry terminal was closed. We had to buy tickets to the next ferry and it only left at 8:00am, which shortened our visit by an hour. 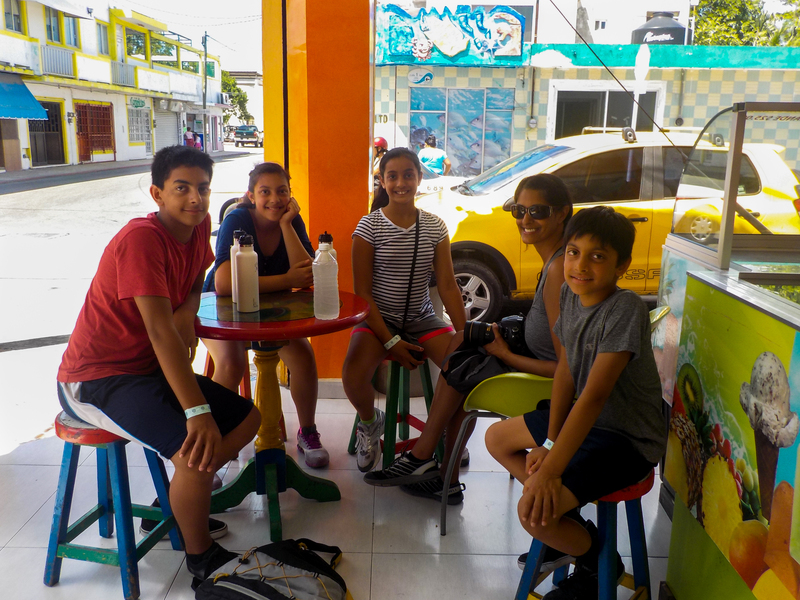 After the 45 minute ferry ride, we arrived in Cozumel and enjoyed the day at a resort called: Sunscape Sabor. We loved the food. 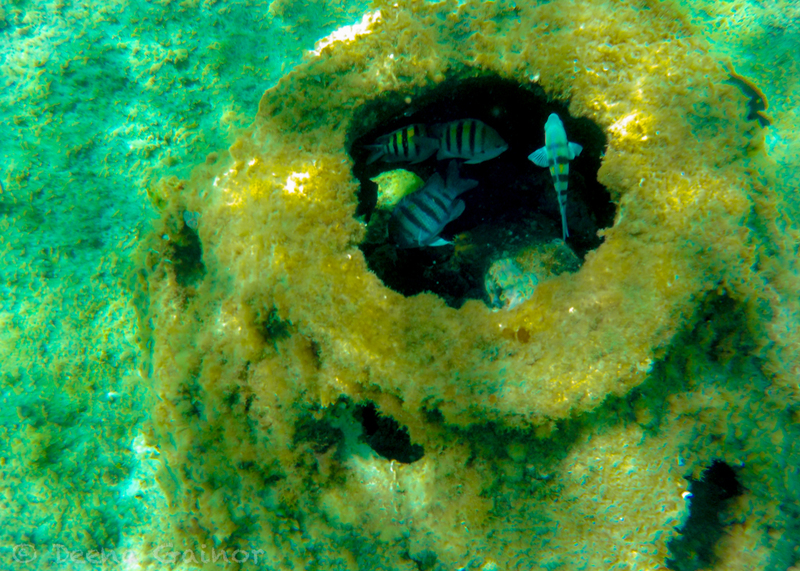 We snorkeled for a little while, and saw tons of fish. 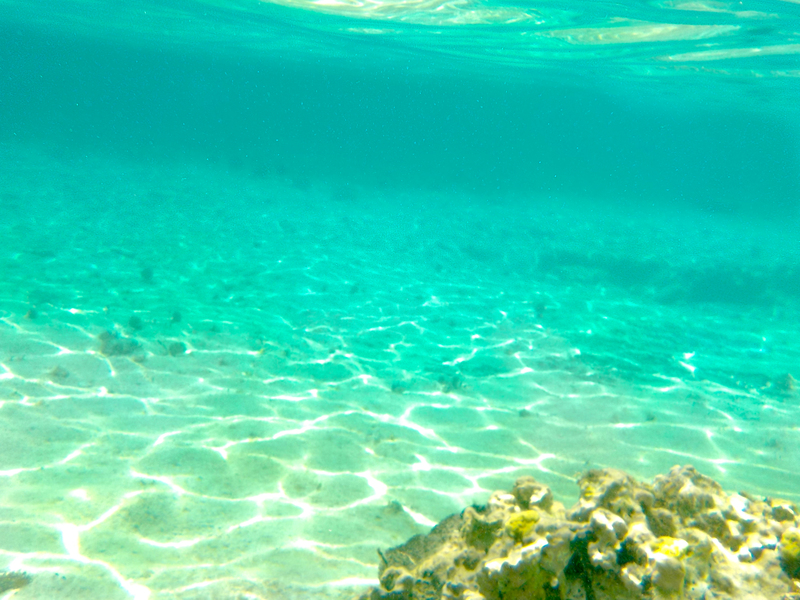 When you snorkel, it is like you are entering another world as you dip your head under the salty water. You can see the amazing way fish live, the fascinating lives of all the creatures, and plants down below. You are treated to a wonderful experience and discover so many new things. Ryan and I were fortunate to see a little stingray the color of white and brown. He flew swiftly across the sandy ocean floor. 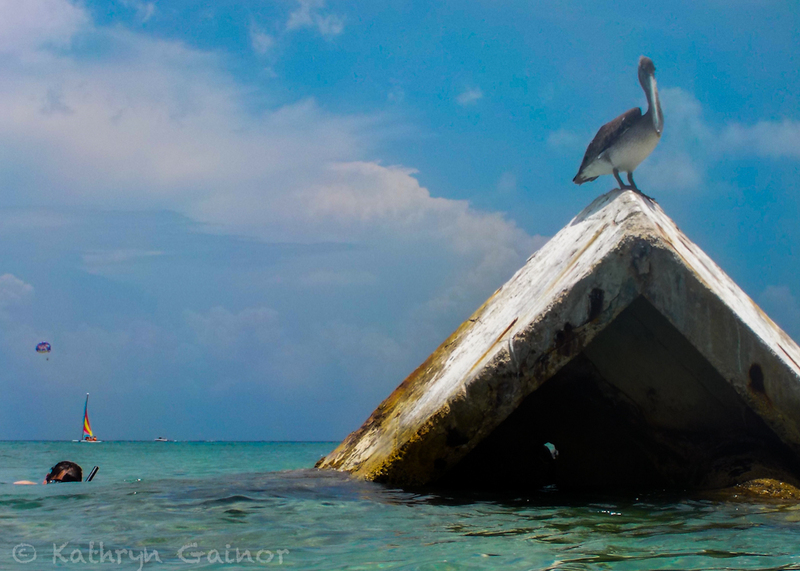 We saw many fish, and marveled at the two pelicans that would not stop swooping down and nearly knocking us off our feet. After we finished snorkeling, we sat down in the sand where the waves gently drifted up to us time to time. We enjoyed drinks from the bar as we watched the gorgeous sun set. It was beautiful. All the clouds changed shapes just as we guessed what they might be and the sun fell slowly below the clouds. Finally, we got our food, and left soon after. We all arrived at the nice hotel my mom booked for us, and went to bed. When we woke up, we spent the day exploring, and had a blast. We saw many new items and colorful jewelry. We also toured the island and all of its beautiful beaches. We took a few pictures of the sunset at the beach after we ate our delicious dinner and played in the sand while we waited for the last of the sun to fall and the moon to rise, while dad and Ryan went to go get our ferry tickets. When dad and Ryan returned, we all enjoyed our last hour walking around and exploring the city. We discovered sugary fried Churros, and then boarded the ferry. We found our seats and settled in for another 45 minute trip across the sea. 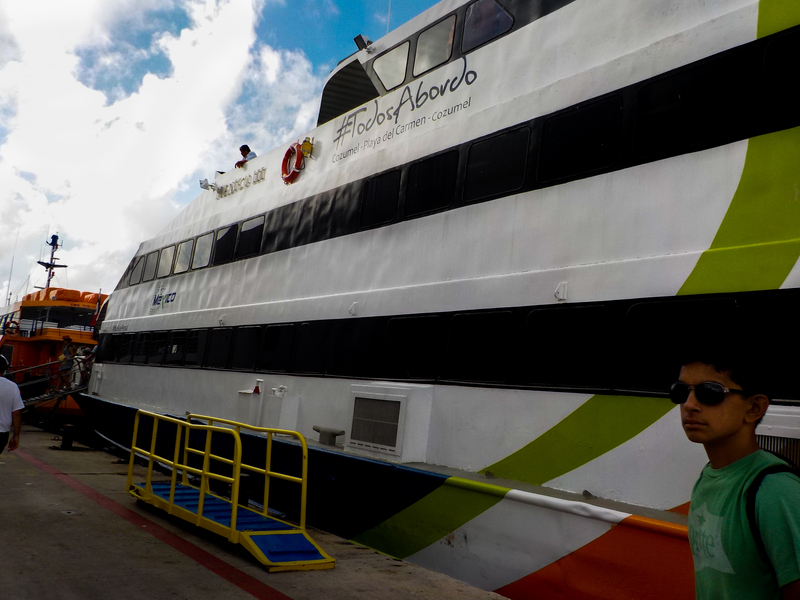 The rocking waves and the sound of the water slapping against the side boat caused me to almost drift to sleep, but my sleep was interrupted by our arrival into Playa del Carmen. ← Spanish Lessons and Theft!